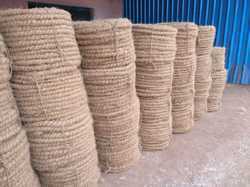 We are specialized in manufacturing, supplying and exporting quality Coir Rope for our esteemed clients. These are manufactured from the fibres found in the husks of coconuts and are well designed for having huge load bearing capacity. Moreover, for the convenience of our clients we also offer them free samples of the product and deliver the consignments on time. Our superior quality Brown Coir Fiber finds wide application for filling mattresses and upholstery, for manufacturing of needle felt pads used in innerspring mattresses, and in drainage filters with perforated pipes. These are obtained from fully ripe brown coconut husks by wet or dry milling. The whole process for obtaining the fiber involves soaking brown coconut husks in fresh water and then combing on a pair of rotating spiked drums. After removing dirt and other rubbish from the coir it is dried and packed into bales. 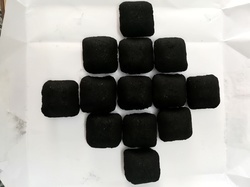 We offer best Charcoal Briquettes manufactured by mechanically crushing, mashing charcoal then moulds are made of this charcoal powder and combined with 100% natural binder without any chemicals. 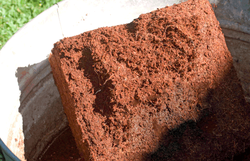 We can supply this charcoal briquettes with the following general specification. Prashant Enterprises...... 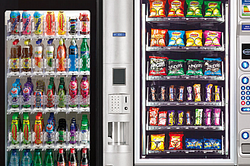 Distributor of Coffee Day Beverages Vending Machines and Consumables. Cafe coffee day beverages provides you a state of the art, stylish and sleek machine, Celesta on rental basis. The simple and user-friendly controls allow you to enjoy speciality coffees at the push of a button! Each steaming cup of coffee is made from the best hand-picked and specially roasted beans from coffee day's very own exquisite plantations. Quality: Cafe Coffee day quality experts strictly monitor all processes involved,right from planting coffee to dispensing the beverage in your cup. The roast coffee beans used with the machines are packed in aluminium pouches fitted with Goglio valves to preserve the freshness and aroma by restricting the inflow of air. We also supplies one of the best quality tea leaves picked from Assam gardens and packed in Dip Tea bags in various flavors like Assam Tea, Ginger Tea, Masala Tea, Cardomom Tea, Lemon Tea & Green Tea. These Dip Tea Bags are used by customers for drinking one of the best teas in flavor & aroma. We also provides the health drinks like Hot Chocolate, Badam / Badam-Pista Powder Sachets & Horlicks / Boost, Tomato Soup / Hot n Sour Veg Soup. Which can consumed with Hot Milk / Hot Water options taken from the machine. We arrange installation, maintenance and consumables supply to these machines provided by coffee day on a monthly rental and refundable security deposit basis to various customers like offices, Hospitals, Institutions, Manufacturing Industries, Restaurants etc. We are involved in offering high quality Cashew Nut Husk. It is widely used to add a rich taste to various delicacies. It is hygienically processed and packed in attractive quality packages to avoid any kind of contamination during transit. It is used for feeding cattle. It is offered by us is preferred by numerous cattle owners due to reasonable prices. 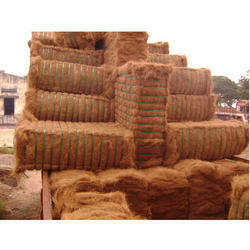 Coir Products. Our assortment of coir products includes Twisted / Curled Coir Rope, White and Brown Balled Coir Fibre, Coir Pith / Coco Peat Blocks, Dry Coconut Shell, 3 and 2 Ply Twisted Coir Yarn. The entire range is widely utilized in several industries particularly Mattress Manufacturing Units, agriculture, horticulture and floriculture sectors. Our range of Eco-friendly products is largely demanded for its superior quality, durability and high strength. Imported Steam Coal. 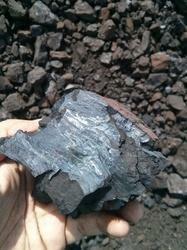 We are large scale suppliers of Indonesian Steam Coal. We have Coal ranging from 5200 GCV to 7500 GCV which serves various industries like Sugar, Paper, Refining, Steel Rolling Plants, Brick Manufacturers, Pharma, Lead Smelting Plants etc. Wood Charcoal, Coconut Shell Charcoal and Charcoal Powder. We engage in sourcing wood and coconut shell charcoal & charcoal powder across Tamil Nadu and supplying to various Ferro Alloys Manufacturing Plants, Hotels for BBQ, Cement Units and Aggarbatti Manufacturing. Direct sourcing from farmers ensures best quality and the pooled sourcing ensures bulk quantity availability all round the year. Cafe Coffee Day Beverage Vending Machines. 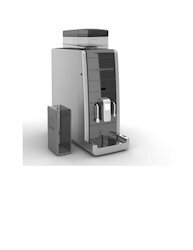 We are distributors of Coffee Day Beverages engaged in supplying coffee vending machines and other consumables for the same like Roasted Coffee Beans and Tea Bags.